Mary Ashton is a papermaker, printmaker, book and fiber artist, not to mention a member of SDA in Washington. She has explored the various aspects of papermaking, fiber manipulation and textile-related materials. Her paper, books and textiles have been shown in regional and national shows. These pieces incorporate her research into the many facets of fiber fabrication and design. 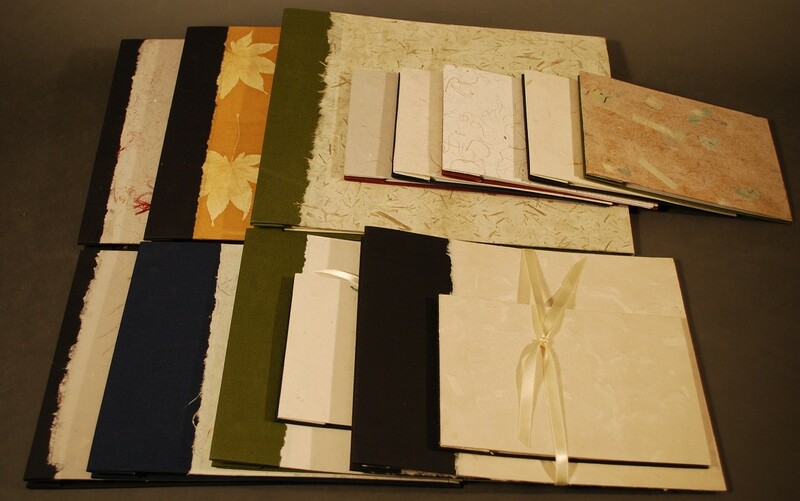 She has studied and taught related papermaking, bookbinding, fiber and specialty technique classes and workshops in England and the United States. She works with and teaches Western and Japanese style papermaking which differ in fiber, pulp preparation and sheet forming. Formally trained as a textile conservator at the Textile Conservation Centre, University of London, Courtauld Institute of Art, she has worked with various museums as well as being a private consultant for insitutions, area museum services and private individuals in the United States and England. She has been involved with the art world, non-profit studio work, artist collaborations, outreach with schools and “at risk” youth programs. Her most recent professional position was Master Papermaker and Outreach Coordinator for Pyramid Atlantic Center for Hand Papermaking, Printmaking, Digital Arts and Art of the Book Silver Spring, MD. In this position, she was involved with collaborations with other artists working with a variety of media. 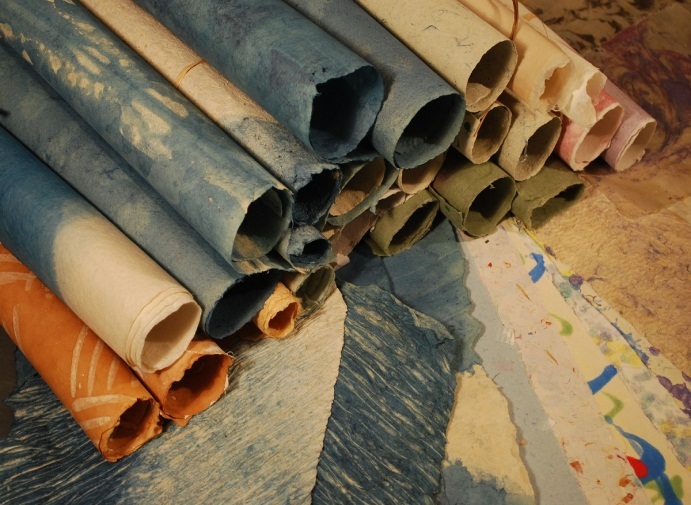 This spring, why not explore making paper with Mary? 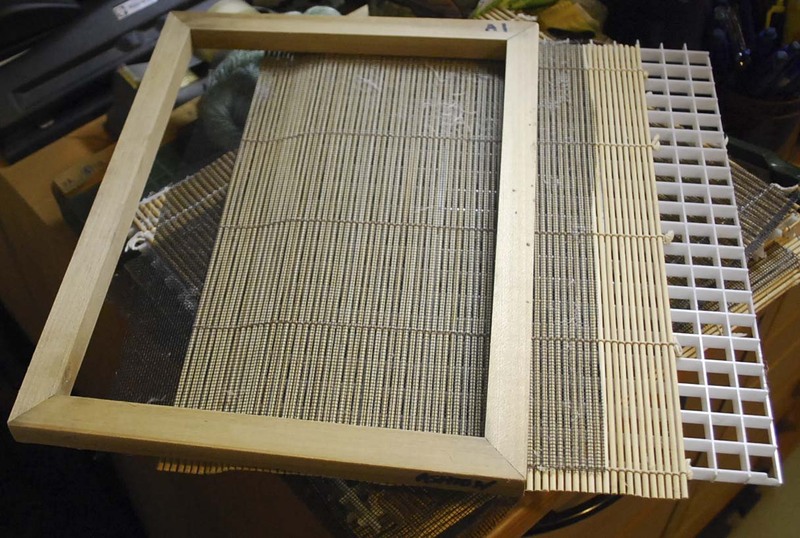 Using Western-European papermaking techniques, students will explore variations on traditional vat sheet forming. Discussions will include various equipment, ways of making pulp, recycling, inclusions, layering, making large sheets from small frame and intro to three dimensional techniques. no experience necessary. Open studio is only open to individuals that have taken the beginning classes and are familiar with the studio. This is meant to provide a place to work on a project or just practice different techniques. All arrangements regarding purchase of pulp and type of pulp will be made prior to the date of the use of the studio. 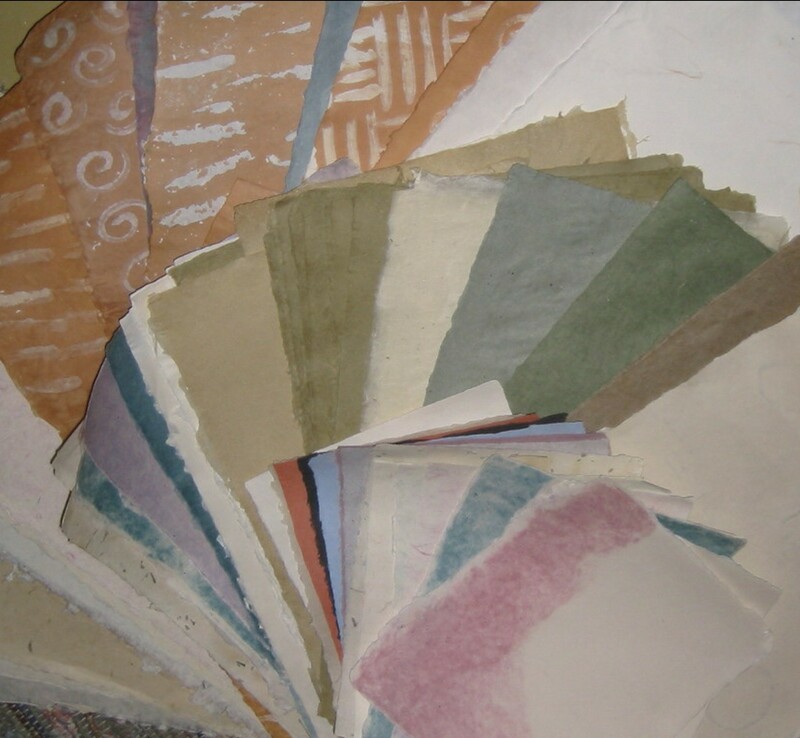 Japanese paper is made up of inner bark fibers of traditional plants. This fiber is soaked, cooked, rinsed and traditionally hand-beaten to form the paper pulp. The long fibers are layered to form a sheet of paper using a different process than traditional Western made paper. The result is a fine, translucent long fibered paper with some distinct qualities. It is strong, good for calligraphy, printing, book arts, three-dimensional work and much more. All aspects of fiber preparation will be covered in this class. Three traditional fibers will be used: Abaca, Kozo and Gampi. Basic equipment needed for future work will be discussed. Bring a towel and secure, non-slip shoes, ideas, questions, enthusiasm, notebook, lunch and beverage of choice. Students will be working outside during part of the class so please dress according to the weather of the day. For registration, contact Mary at maryashtonstudio@earthlink.net with your name, and telephone number. Though classes have a scheduled date, if you get three to six people, we can find a date that suits us all! This entry was posted in Classes, Member Event, Workshops and tagged Mary Ashton, papermaking.